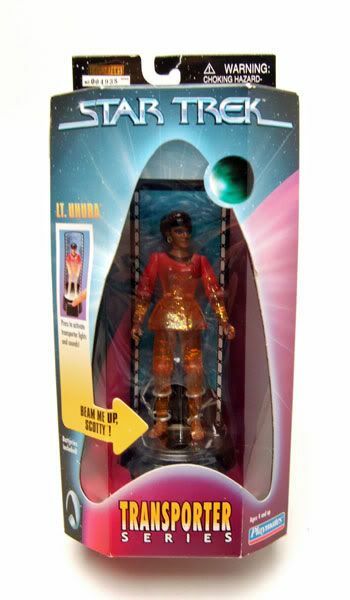 Playmates released Lt. Uhura as part of it's boxed assortment of Transporter Series figures. 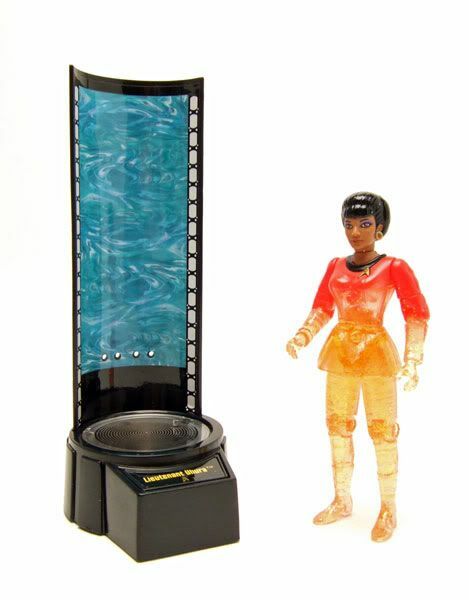 The Rundown: Playmates Transporter Series figures are a pretty neat little idea. 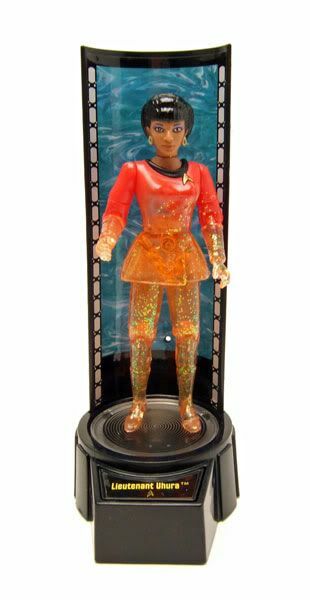 Each figure comes with a transporter base with electronic lights and sounds mimicing the transporter effect from the show. 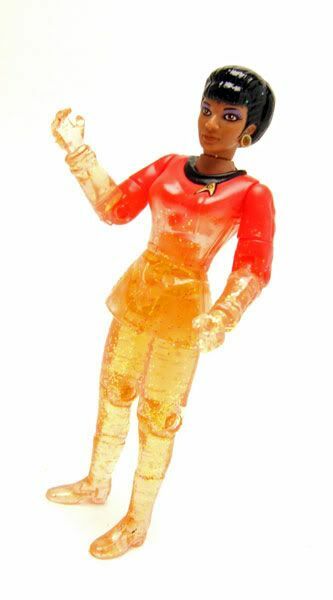 The figure itself is almost entirely molded out of clear plastic with bits of glitter mixed in. Attach the figure to the base, press the button, and the light from it's base makes goes through the figures body, 'beaming' them out. Pretty cool! 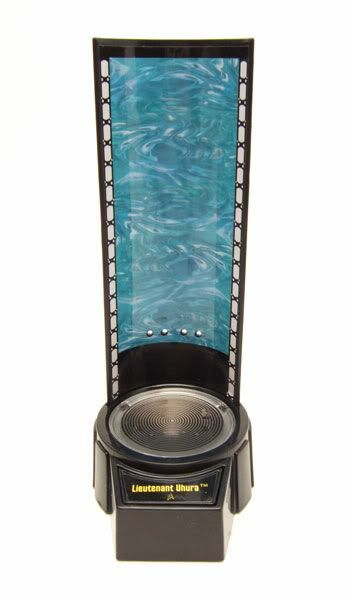 The light effect works best in a dimly lit room, but the sound is awesome anywhere! If you take the figure by itself, it's kinda pointless though. Once it's off the base, it's just a half clear figure with some glitter thrown in. 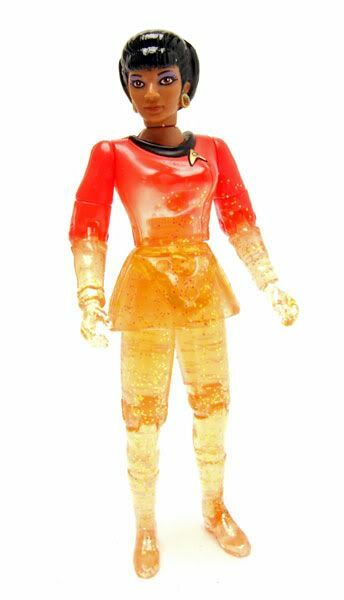 It's the same body mold as the classic collector's set Uhura, but the changes really make this one a 'one-trick-pony'. The head sculpt is still great though. 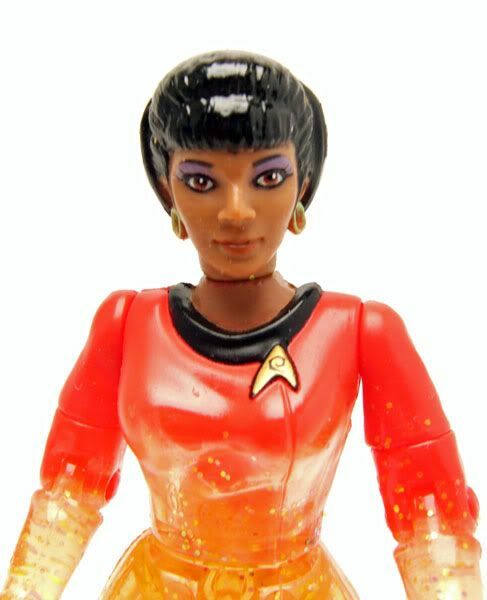 I think Playmates did a fine job here, especially on the nose which I think is really close to Nichelle's. So if you like kitschy, gimmicky stuff, these figures are great. If you're looking for just standard figures though, you can easily skip the whole series. Accessories: All the transporter figures included the base with background section and that's it. The base has their name printed on it and is super cool.